Yesterday, Machines Malaysia dropped an announcement on their Facebook page that caused a social media frenzy among tech geeks and Apple fans – they’re giving away a RM500 discount on the iPhone 7 and iPhone 7 Plus. Machines is currently offering the RM500 discount for the 128GB and 256GB for both iPhone 7 models, meaning that the 128GB iPhone 7 is equivalent to the 32GB while the 256GB iPhone 7 is equivalent to the 128GB model. Others, on the other hand, felt that some Malaysians are simply just overreacting and are constantly complaining. Iphone 7/7+ turun harga RM 500? Takpelah still tak mampu. 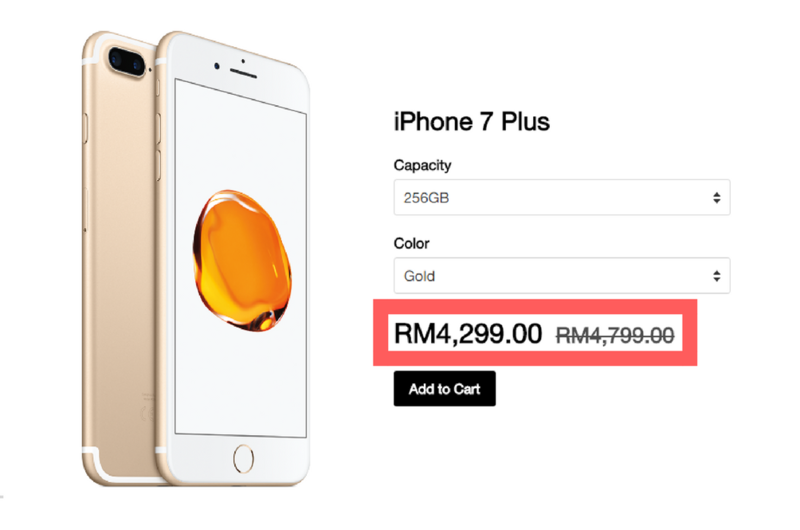 Iphone 7 turun harga sekalipun, still sama. Tak mampu nak beli. Marilah makan pasir sama sama. Well, no matter how Malaysians are reacting to this news, one thing’s for sure: people will be queuing up to grab this offer at Machines. After all, this is the best moment to grab that iPhone 7 you’ve been dreaming of.